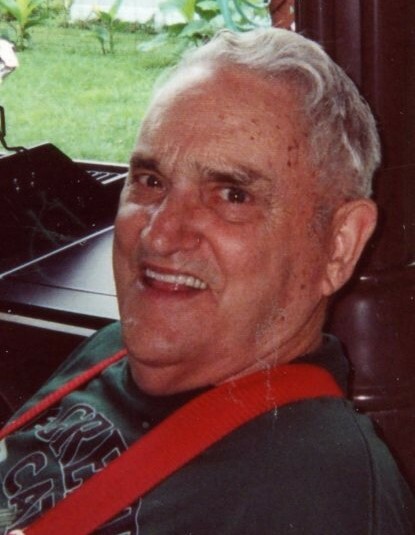 Robert E. Houser, 89, of Chillicothe, passed from this life at 11:30am on Friday, January 25, 2019 at the VA Medical Center, Chillicothe. He was born on June 28, 1929 in Ross County the son of the late Roger and Edith Wilburn Houser. On May 9, 1947 he married the former Mary K. Kinnamon and she preceded in death on April 12, 2002. He is survived by his wife, Mary E. Newland Houser of Chillicothe, children; Donald (Cathy) Houser of Chillicothe, Kathryn Reynolds of West Virginia, Carol (Martin) Horn of Beaver, Ohio, six grandchildren including a special grandson, Donnie Houser, ten great-grandchildren, two sisters; Jeanne (Bill) Freeman of Maumelle, AR, Shirley Shavers of Griffin, GA, one brother; Jospeh (Donna) Houser of Warren, Ohio, numerous nieces and nephews. He was also a great dad and grandfather to his many stepchildren, grandchildren, and great-grandchildren. He was preceded in death by two infant daughters; Linda and Brenda, a granddaughter; Vanessa Stevens, two sisters; Doris Darst, Donna Wallace, and four brothers; John Houser, Richard Houser, Raymond Houser, and Cecil Houser. Robert was a veteran of the United States Army. He retired after thirty-five years of service at the Chillicothe VA Medical Center, where he served as head cook for many years. Bob was a man of many talents. His main goal was to make it to Heaven. His pleasure was reading the Bible and many books about God. He was a member of the Shady Glen Church. He was very faithful to the Church and always a prayer warrior. He will be greatly missed. A funeral service will be held on Wednesday, January 30, 2019 at 1pm in the EBRIGHT FUNERAL HOME, Frankfort with Rev. Willard Kellough officiating. Burial will follow in the Greenlawn Cemetery, Frankfort. Friends and family may gather with the Houser family on Tuesday, from 6 to 8pm at the funeral home.